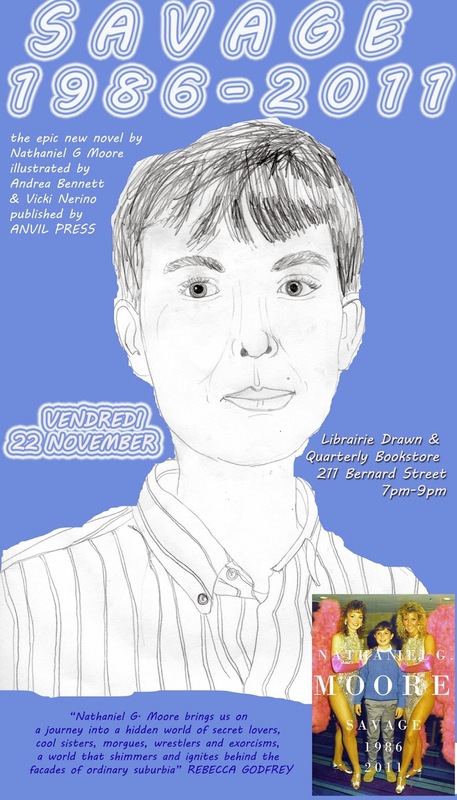 Join author Nathaniel G. Moore on Friday, November 22nd at 7 with his dear friends Alexis O'Hara, Anisa Cameron and Warren Auld for a short performance from Savage 1986-2011 (including a short clip from the eponymous film supporting the book) while New Order plays in the background. Nate’s nervous mother chews gum at warp speed and has a bob that resembles Darth Vader’s helmet. His icy father dabbles part-time in the death trade at a funeral home after working for a decade in the insurance racket. His older sister Holly is always lurking in the shadows or away at school. Nate, a creative, messy, and anxious teen, has chosen Randy Savage as his hero. As he finishes high school, the world to which Savage belongs is quickly waning in popularity, and Nate begins to see the wrestler’s downfall mirrored in his own life. But not until the family dismantles for good in 1994 does Nate’s life truly begin to fracture. 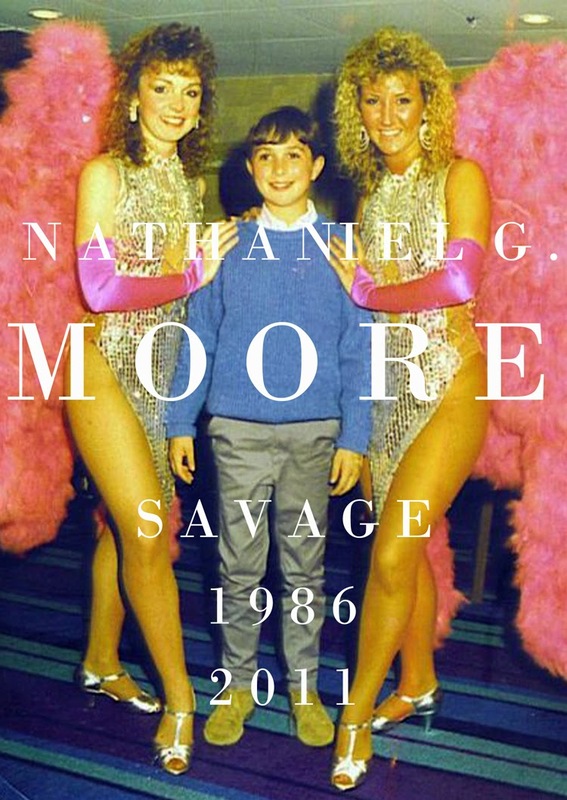 Savage 1986-2011 chronicles the middle-class implosion of Nate’s nuclear family, bracketed by July 1986 — when he first saw Randy Savage in person — and the wrestler’s sudden death in May 2011. When Savage dies, Nate is freed from beliefs — once a source of beauty and escape — that had come to constrict him, fusing him to a moribund past. Described as a 2003 Noisemaker by the Montreal Mirror, Nathaniel G. Moore is the author of four books including Wrong Bar (shortlisted for the 2010 ReLit Award for best novel) and Let's Pretend We Never Met, a poetic exhumation of the Latin poet Catullus and himself. 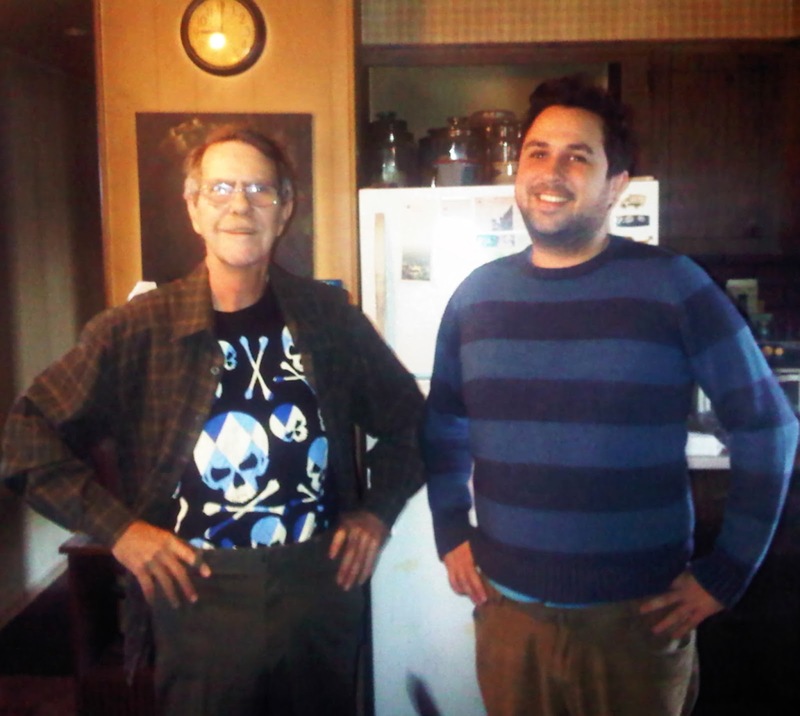 His work has appeared in magazines such as Matrix, This Magazine, Canadian Literature, The Globe & Mail and Quill & Quire. Savage 1986-2011 is his latest book, which Rebecca Godfrey calls "immediately catchy, thrilling and electric with an honest beauty and wild energy." while Dave Bidini calls the novel "a glowing portrait of a city— my city— and its people trying to find truth and love despite— but sometimes because of— themselves." Moore lives and works in Toronto. Friday, November 22 at 7! 211 Bernard Ouest!